This building has been a fixture of the Sapphire Community for a long time. There are rentals upstairs, main floor has close to 5,000 sq. ft. that has the potential for commercial retail or office space. The apartments upstairs rent fast. It needs a lot of TLC but it may be a bargain for someone with some imagination. 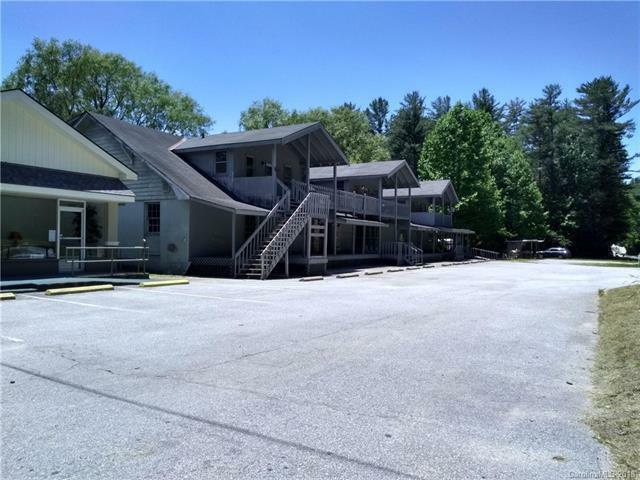 Offered by Wncproperty.Com. Copyright 2019 Carolina Multiple Listing Services. All rights reserved. Cross Street 17863 Rosman Hwy.